MURDER ON THE ORIENT EXPRESS. From the first trailer, it struck me as a little odd that a murder mystery set in 1934 would be positioned as a peak-season prestige release. 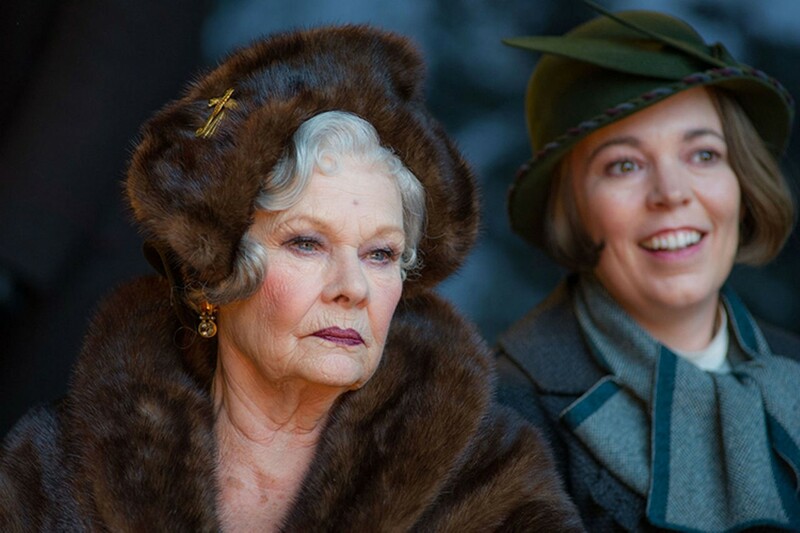 Granted, the credentials of the cast and crew befit such a thing and adapting an Agatha Christie novel — even for the third time — ensures at least well-drawn characters and snare-drum-tight plotting. Still, the movie seemed outmoded, a throwback I wasn't sure anyone was asking for. (I should admit that my reaction stems in part from my identification of Christie's Detective Hercule Poirot as played by David Suchet on PBS' long-running Agatha Christie's Poirot, which attends memories of certain sections of my childhood as closely as distinctive wallpaper or an oft-played piece of music). Regardless of my outlook, Murder seems to have caught the audiences' attention: Walking into the theater just before showtime, as I am wont to do, I was met by a house packed enough that I had to sit in the second row. Go figure. In Jerusalem, Poirot (Kenneth Branagh) makes work for hotel staff, insisting on two identical eggs for his breakfast. Needs unmet, he proceeds to tidily resolve the potentially explosive theft of a priceless religious relic. He then intends to make his way home and find for himself a respite from the cruelties of the world his own overactive powers of observation. But the work of the world's greatest detective is never done, and so Poirot is called to London to assist on a case. He boards the opulently appointed Orient Express, making do with a few days of luxury train travel as a vacation. As his reputation — not to mention descriptions of his unbelievable mustache — precedes him, however, he is almost immediately approached with a job offer. Edward Ratchett (Johnny Depp), a questionable type with an unquestionably sordid past and a number of unseen enemies, attempts (unsuccessfully) to hire Poirot as a sort of overqualified bodyguard. While the offer comes to nothing, the unease of their interaction and Poirot's clear distaste for the man establish a tension that soon fills the train. As it makes its way through snowy mountains, a murder is committed in the night. An avalanche halts the train's progress and so begins the process of unraveling the crime and identifying the killer. What follows (the bulk of the movie) takes shape as the sort of locked-room mystery of which Christie is perhaps the world's foremost purveyor. If one is familiar with the novel, the 1974 Sidney Lumet adaptation, or the 2010 PBS one, the effect of the movie as a whole may be somewhat diminished by foreknowledge of the plot. To be honest, though, the big reveal is actually one of the movie's weaker moments. It serves the plot and fits the tone of the movie as a whole, but after the careful construction of the story leading up to it, it feels both a little contrived and a little too easy. 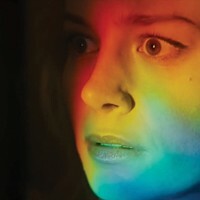 The movie leading up to that moment, though, is a clever, languid and altogether well-constructed thing to behold. As a director, Branagh's style has often seemed too old-fashioned, too staid for some of the material. But in this case, working from a screenplay by Michael Green (Bladerunner: 2049, Logan) he finds a near-perfect balance. The confined space of the train creates opportunities for deceptively inventive camera moves and compositions, and his excitement at spooling out a mystery is as evident from his position behind the camera as the gleam in his Poirot's eye. And the train, a lush backdrop of dark wood and linen and china, makes a fine example of property work and production design. The cast, of course, is second to none, with Judi Dench, Willem Dafoe, Daisy Ridley and Michelle Pfeiffer (among others) doing fine, if occasionally arch work and clearly enjoying themselves. Murder on the Orient Express embraces the notion of old-fashionedness in perhaps the best way possible, calling back to an era of slower-paced movie-making, with attention paid to the details, both onscreen and buried within the narrative. It may not be perfect but it is exceedingly good to look at and compelling from start to finish. PG13. 114m. BROADWAY, FORTUNA, MILL CREEK, MINOR. DADDY'S HOME 2. 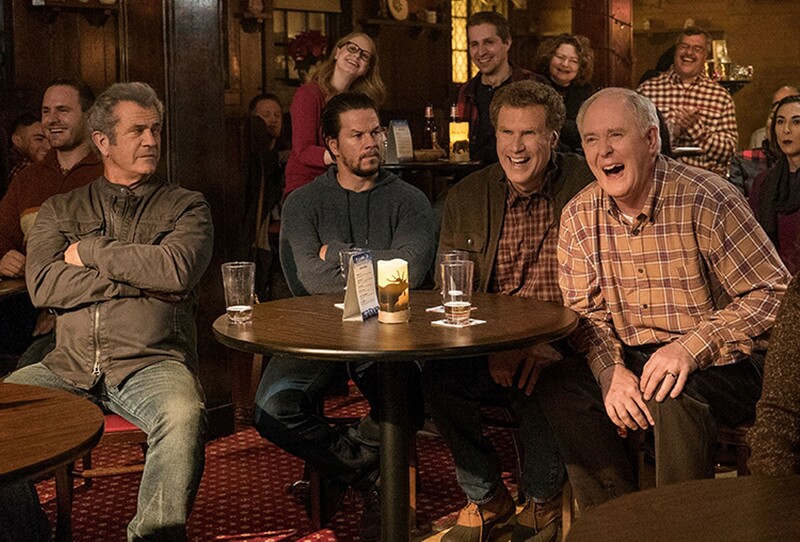 As I recall, Daddy's Home (2015) was pleasant enough, if not particularly memorable. 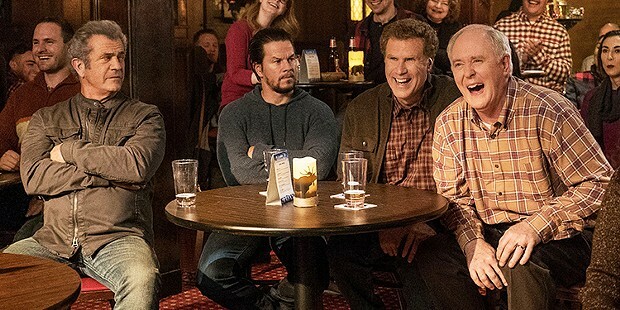 Will Ferrell and Mark Wahlberg have a fun, watchable, antagonistic chemistry, and as long as a few of the jokes land and Ferrell gets knocked over a few times, everybody is likely to have a good time. And that's pretty much what we get here. Brad (Ferrell) and Dusty (Wahlberg) have built a tentatively amicable relationship as "co-dads," and so decide to bring their families together for Christmas. 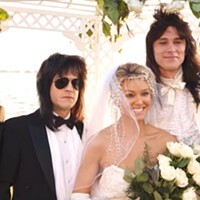 This warm and fuzzy scenario is challenged by the unexpected arrival of Dusty's dad Kurt (Mel Gibson) and the unexpectedly distracted presence of Brad's dad Don (John Lithgow). Holed up in a rented cabin at Kurt's suggestion and spurred on by his jabs, the tensions in the family come to a head, with mildly humorous and pointedly heartwarming results. This is more of the same really, with a Christmas setting and a little more star power. Benign and likely to be quickly forgotten, it's got some nice things to say about togetherness and supporting one another. It is also a reminder that Ferrell doesn't really seem to be trying anymore. PG13. 98m. BROADWAY, FORTUNA, MILL CREEK. COCO. Young musician Miguel (Anthony Gonzalez) goes on a quest to the Land of the Dead to circumvent his family's generations-old ban on music in this Pixar animated feature. With Gael García Bernal. PG. 109m. MINOR. HARRY POTTER AND THE SORCERER'S STONE (2001). The first in the movie franchise, before anybody's voice changed. Pour out a butterbeer for original Dumbledore Richard Harris. PG. 108m. BROADWAY. JUSTICE LEAGUE. Batman (Ben Affleck) teams up with Wonder Woman (Gal Gadot), Cyborg (Ray Fisher), Flash (Ezra Miller) and a butched-up Aquaman (Jason Momoa) to save the world. PG13. 121m. BROADWAY, MILL CREEK, MINOR. THE STAR. This animated feature follows a donkey (Steve Yeun) and the rest of the manger crew on the road to the first Christmas. With Kristen Chenoweth, Keegan-Michael Key and Gina Rodriguez. PG. 86m. BROADWAY, MILL CREEK. WONDER. Adaptation of the YA novel by R.J. Palacio about a young boy with severe facial deformity going to school for the first time. Starring Jacob Tremblay, Owen Wilson and Julia Roberts. PG. 113m. BROADWAY, MILL CREEK. A BAD MOMS CHRISTMAS. The writing in this sequel wastes the comedic charms of leads Mila Kunis, Kristen Bell and Kathryn Hahn, who play frustrated moms visited by their respective mothers (the equally squandered Christine Baranski, Cheryl Hines and Susan Sarandon). R. 104m. BROADWAY, MILL CREEK. DELORES. Documentary about Dolores Huerta, activist and union organizer alongside Cesar Chavez, and her struggles with police violence, and raising 11 kids. Damn. NR. 95m. MINIPLEX. LUCKY. The legendary Harry Dean Stanton (RIP) stars as a 91-year-old man having an existential crisis in a small, dusty town with a missing tortoise. NR. 88m. MINIPLEX. THOR: RAGNAROK. Director Taika Waititi keeps Marvel's high drama but balances it with humor and and a nimble, entertaining story. Cate Blanchett and Jeff Goldblum excel as very different villains. Starring Chris Hemsworth, Tessa Thompson and Tom Hiddleston. PG13. 130m. BROADWAY, FORTUNA, MILL CREEK, MINOR.